Despite years of research, the details of William Lee Conley Broonzy's birth date remain problematic. He may have been born on 26 June 1893 - the date of birth he often gave - or according to Bill's twin sister Laney, it may have been in 1898. Laney claimed to havedocuments to prove that. However, definitive research undertaken by Bob Reisman (see www.amazon.co.uk or www.amazon.com search book "I Feel So Good") has changed the picture. I dreamed he's shaking my hand, said "Bill, I'm glad you're here".But that was just a dream. What a dream I had on my mind.And when I woke up, not a chair could I find"
Regardless of the truth of that story, when a second concert was organised in 1939, on Christmas Eve, Bill was there again. This time, again with Albert Ammons, he performed two numbers: Done Got Wise, and Louise, Louise. Broonzy updated his act by adding traditional folk songs to his set, along the lines of what Josh White and Leadbelly had done in then-recent times. He took a tremendous amount of flak for doing so, as blues purists condemned Broonzy for turning his back on traditional blues style in order to concoct shows that were appealing to white tastes. But this misses the point of his whole life's work: Broonzy was always about popularizing blues, and he was the main pioneer in the entrepreneurial spirit as it applies to the field. His songwriting, producing, and work as a go-between with Lester Melrose is exactly the sort of thing that Willie Dixon would do with Chess in the '50s. This was the part of his career that Broonzy himself valued most highly, and his latter-day fame and popularity were a just reward for a life spent working so hard on behalf of his given discipline and fellow musicians. It would be a short reward, though; just about the time the autobiography he had written with Yannick Bruynoghe, Big Bill Blues, appeared in 1955, he learned he had throat cancer. Big Bill Broonzy died at age 65 in August, 1958, and left a recorded legacy which, in sheer size and depth, well exceeds that of any blues artist born on his side of the year 1900. August 15, 1958, Big Bill Broonzy dies in Chicago from complications with cancer. Many blues men including Muddy Waters attend his funeral. In July 1957, a day before he had an operation for throat and lung cancer, the blues singer Big Bill Broonzy finished recording his final album. “Man, this is a helluva night, Is there gonna be any whiskey?” he said. Broonzy, Bill, and Yannick Bruynoghe. Big Bill Blues. London: Cassell &Co., 1955. Broonzy, Bill. The Bill Broonzy Story. CD box set. Polygram Records, 1999. 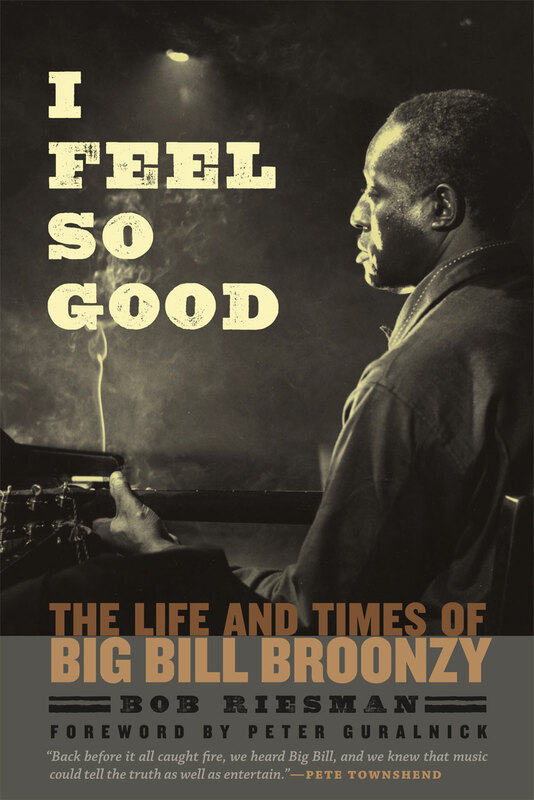 His Story: Big Bill Broonzy Interviewed by Studs Terkel. CD. Smithsonian Folkways, 2012. House, Roger Randolph. “‘Key to the Highway’: William ‘Big Bill’ Broonzy and the Chicago Blues in the Era of the Great Migration.” PhD diss., Boston University, 1999.